In case you weren’t aware, the Symbian Foundation recently open-sourced their Symbian^3 platform under EPL. I’ve had a few people come to me and ask first, what is the Eclipse Public License and why would Symbian choose that license say over the GPL or APL. So let me try to answer some of those questions (note: IANAL). What is the Eclipse Public License? The Eclipse Public License is an OSI approved license. It’s a weak copyleft license similar in spirit to the LGPL. Any changes and certain additions to EPL-licensed code need to be licensed on under the EPL. This is unlike the GPL where it dictates that any work that is based on GPL-licensed code must itself be GPL-licensed. Some people like to call this licensing behavior viral. If you want to learn more about the EPL, check out the EPL FAQ. Why did Symbian favor the Eclipse Public License? On top of that, I postulate that Symbian recognized the importance of giving people a choice and protecting the investment in the Symbian platform code. This is where I argue a weak copyleft license like the EPL actually gives you more freedom than a strong copyleft license like the GPL. The GPL wants to devour your code and all of its friends. The EPL gives you a choice. Why not LGPL? Well, there are some patent retaliation and reverse engineering clauses in the LGPL that make certain companies legal departments nervous. Other than that, I actually like the LGPL’s weak copyleft spirit. 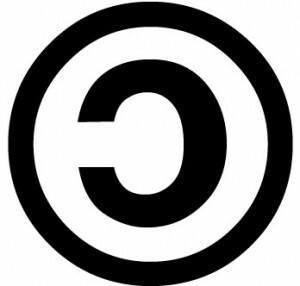 One of my predictions is that in the near future, we will see a significant rise in the usage of weak copyleft licenses. If you’re looking to build an ecosystem full of commercial and individuals members, a weak copyleft license is the best choice in my humble opinion. Eclipse first blazed the weak copyleft builds ecosystems path with the CPL/EPL followed by Symbian. Microsoft is getting into the game with the MS-PL license (which is weak copyleft). Even Intuit’s Partner Platform is dancing with the EPL. I’m sure there are others in the wild. Do other people have strong feelings on weak copy left licenses? Do you see a pattern too? On a side note, if you have the time to burn on legal issues, I highly recommend taking a gander at Janet Campbell’s “Managing Open Source Legal Issues” video on EclipseLive.